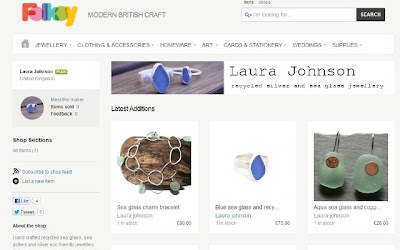 The name changing continues and during the website re-design my main shop is over on Folksy at http://folksy.com/shops/byLauraJohnson. Today I've been trying out polishing silver using polishes and mops. I have been put off going for this due to standard polishes having animal products in them and, as a vegetarian I wasn't going to use them. However, I found a range of polishing compounds which contain no animal and so far so good. Once I get the better control over my multi tool and avoid nicking the metal with the actual tool I'll have super shiny silver suitable for vegetarians!